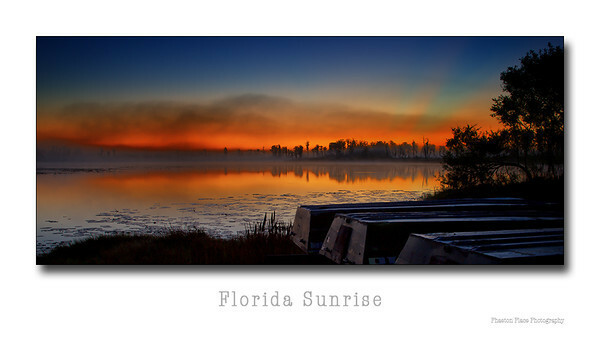 I was out early by the lake with my camera and tripod the other morning and saw a simply magnificent sunrise. The above shot was taken about 20 minutes before the sun actually rose off the horizon. The boats are rentals stored on a rack at the edge of the lake. During the day this lake is nothing special to look at but at sunrise……well…..I’ll let you decide how beautiful this lake can be. Disney is on the opposite side of the lake and we can see fireworks light up the evening sky on occasion. The second shot was taken a little further down the lake shore where I found this really great tree with spanish moss hanging out over the water. Shot in manual mode with a tripod. I’d be interested in hearing whether readers prefer framed photos or unframed photos? Which one do you think presents better on our blog? I’ve added a new EXIF data feature to photographs appearing on our blog now. Just roll your mouse over a photo and EXIF data information like camera used, shutter speed, aperture, mode, ISO, etc will show up in a transparent banner across the top of the photo. Simply remove your mouse and the EXIF banner info disappears. 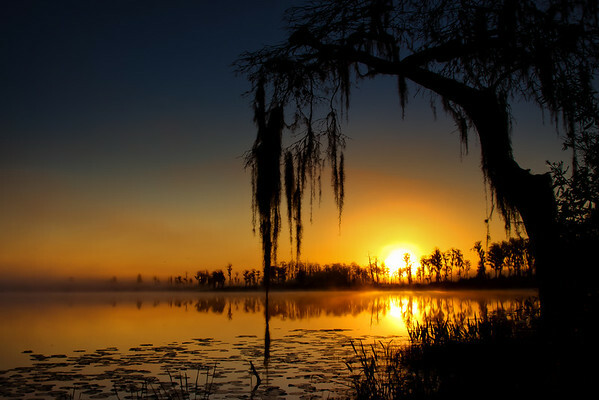 This entry was posted in Campgrounds, Florida, Photography. Belated Congratulaions are in order. Wishing you only the best! Great photos. I don’t care for the white frame, but the photo is smaller and I think the frame emphasizes that. Simply magnificent. I don’t usually put frames around my blog photos … not because I don’t like them, as I do use frames for certain photos … I think it’s a decision I make based on the mood the photo strikes.